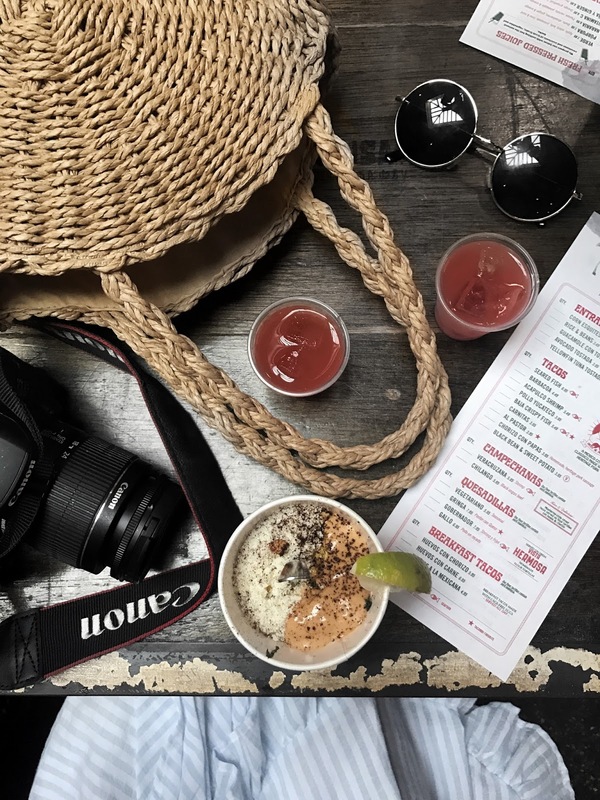 In today's post, I thought I would share one of my favourite things to do when I visit New York: food tours! This was my second time using Foods of NY Tours. 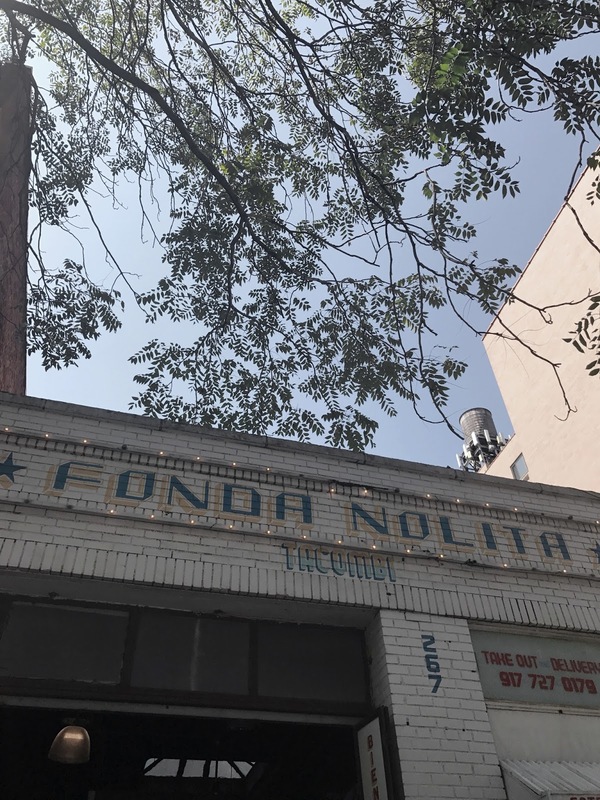 The first time, I toured Greenwich Village but this time I decided on the Nolita/ Noho tour. 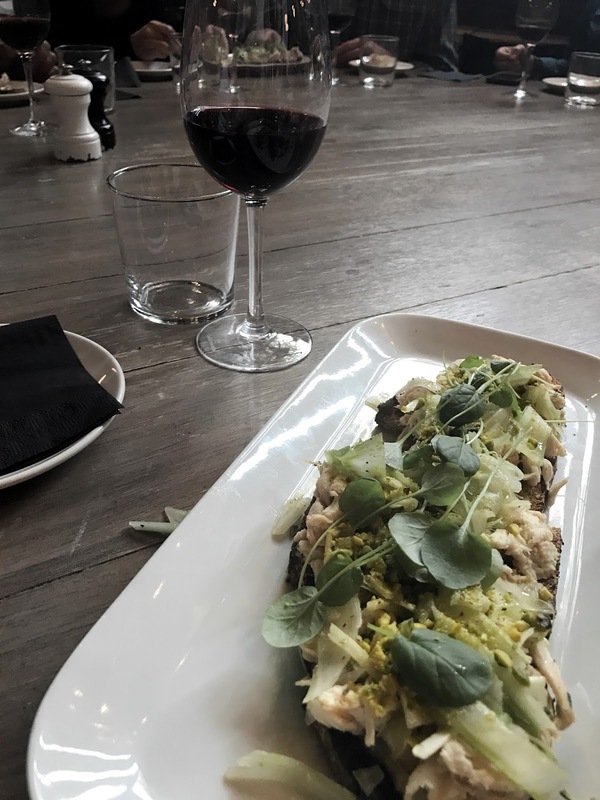 What I love about food tours is the opportunity to learn a bit of the city's history while being introduced to restaurants that I may not have visited on my own. The food is always fantastic and this particular tour did not disappoint! The first stop on the tour was at Little Cupcake Bakeshop. 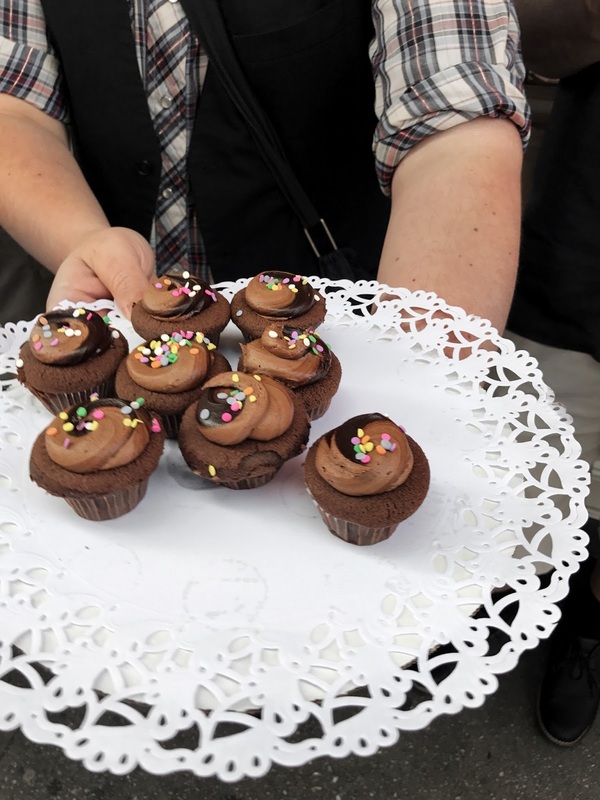 Here we tasted the mouthwatering Brooklyn Blackout mini cupcake. The photos don't do this cake justice. This moist, chocolatey cake was filled with the creamiest ganache filling. Selfishly, I was so happy that five people were a no-show on our tour because we were able to have up to 2 servings or more as there were leftovers! 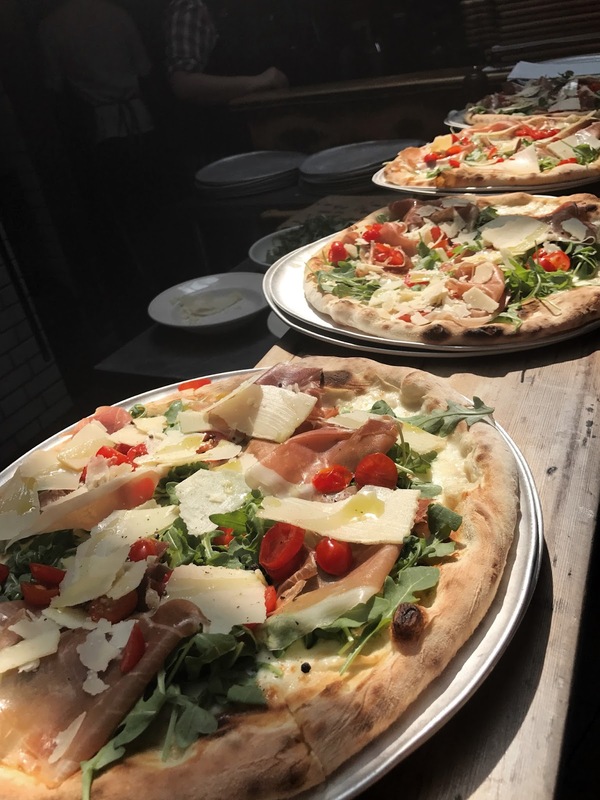 From the Little Bake Shop, we made our way over to Emporio where we watched our brick-oven pizzas get made in front of us. Talk about fresh and colourful ingredients! 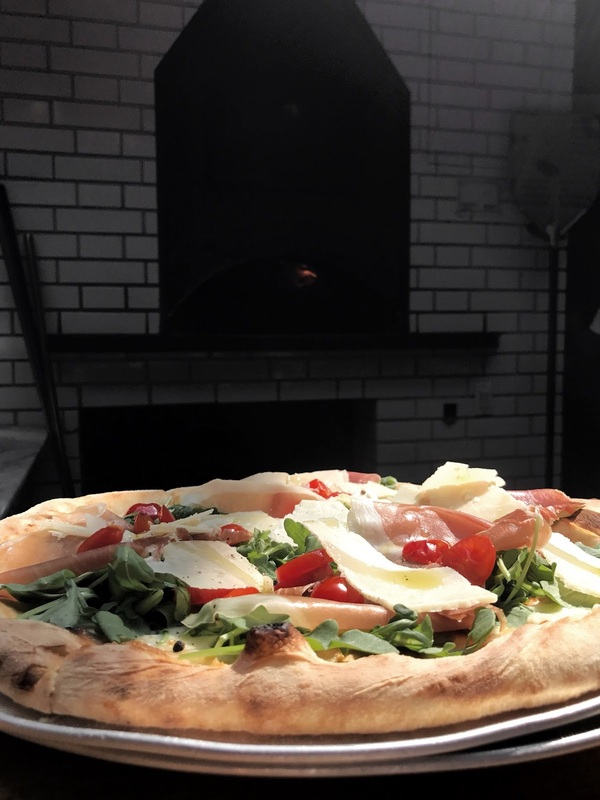 We had the prosciutto and arugula pizza topped with tomatoes and parmesan. I definitely had two or more servings here. It was better than every pizza I had when visiting Italy this past year! 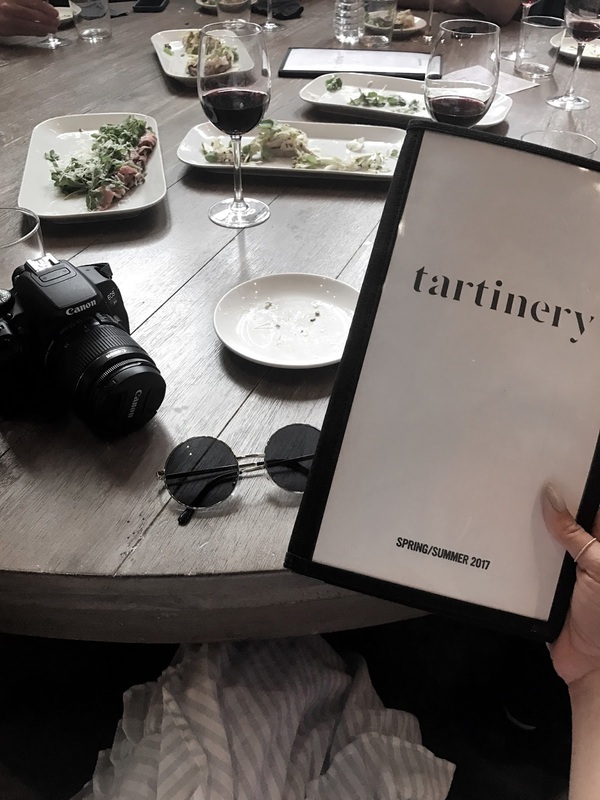 It was extremely difficult to pick a favourite spot from all the places we visited, but Tartinery was at the top of the list for me. The flavours of the roast beef tartine still resonate with me and I crave it all the time! Too bad I'd have to fly 3000 miles just to have it again! I'll definitely be back the next time I'm in New York. We even had a wine pairing with this meal which was a nice bonus. The next stop on the tour was Tacombi. This was probably my least favourite of the tour as I found the corn dish a little too rich for my liking but my girlfriend seemed to enjoy hers. If you're a fan of tequila you definitely need to check this place out because they have a mixed drink that punches you in the throat and takes all your inhibitions away - I just wish I remembered what it was called??? I would go back to try the tacos because that's my favourite kind of Mexican food. I believe this house-made ricotta cheese and bread was from Oficina Latina, but I could be wrong. It was just as delicious as the photos make it out to be. I totally spotted Ashley Benson from Pretty Little Liars here, just casually having lunch, when I went in to use the bathroom. Talk about a star-studded trip to New York this go-around. I'm already browsing the Foods of NY website for my next visit (September 2018). I think I'll try Brooklyn or Washington Square Park next time. What are your thoughts on Food Tours? Have you ever done one before? This post in no way was sponsored by Foods of NY Tours. All thoughts and opinions are my own. That dress is so pretty! The food looks really good too. Amazing post, fabulous outfit as well, the pictures are stunning, I love your blog. Thank you for sharing, you look gorgeous!!! The food looks super tasty. And I fell in love with your outfit, especially the bag! Yumm everything looks so good! NY always has the best food! Great pictures and amazing dress! Loving this post so much! Que rico todo, tiene muy buena pinta. Ok I’m late but I did not know NY had food tours! Omg clearly I’ve been living under a rock! Now I want to drive up there! I was there on September I wish I knew about it. Such a fun and yummy adventure. Love your look here babe. The food looks delicious, obsessed with your dress, babe! Stunning! I love your blog and photography! NY looks amazing! You look beautiful in that dress!Have a great weekend! Gorgeous photos. Your outfit and the food looks amazing! This post is surely making me hungry. Oh mennn...!! Oooo I live here and often get stumped when deciding were to eat. This is good to know!! Thanks for posting. And love your look here, hope you enjoyed your time in NY. I love doing food tours! Love your look and outfits too! You look fabulous in your Marianne blue stripe off-the-shoulder ruffle dress!!! That food looks delicious! I'm getting hungry looking at the photos. That's fantastic that you saw Ashley Benson!!! I loved her as Hanna Marin in Pretty Little Liars!!! Oh this makes me wanna go back to NYC so badly! Thanks a lot for sharing these spots, I will keep those spots in mind for sure! I know right!? I miss it so much! Can't wait to visit again next year. omg the food looks amazing! your outfit its so cool, but in this moment I feel cold of see it. I am in love with your outfit! You look so fabulous! The food looks good too! Great photos, I can't wait to visit NY one day, the food looks amazing! Wow, really lovely dishes here dear. But not as lovely as your white maxi. Love the ruffles and the off-shoulder style, really chic. Great review dear. I love your dress. It looks fantastic. The food looks delicious.I really love the pictures.I also can't get enough of your dress.It is amazing.Fantastic. One of the great thing about NY....Food :) you look great! You look so beautiful, brilliant photographs. It looks like you found some great food spots!! Beautiful dress and great pictures! 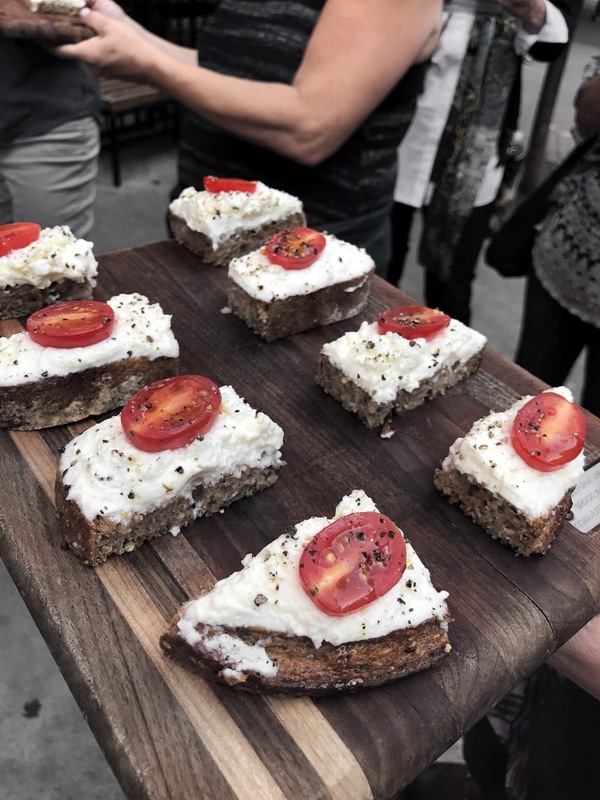 I love this idea of a food tour! I have never done it but next time when I go to NYC, I will definitely try it out. You look absolutely gorgeous and the fooood! OMG where do I start, I've saved your post as I'm so up for checking out the culinary delights in NYC when I return! I'm all about the pizza. Can have it everyday! I've heard NY pizza is one of the best and am looking forward to trying it out in the future. I've never done a food tour, but sounds like so much fun. I love your dress with the black belt at the waist. Oh my gosh, this food tour sounds AMAZING! I love your look from that day, perfect for September in New York. Your dress is super cute and I love the details you've used! SO much good food in NYC. I will be bookmarking this post for my next NYC trip. Would like to visit Tartinery. You are a vision in this beautiful off shoulder summer dress. Thank you for sharing. OMG How fun! Travelling for food is THE BEST! These all look good. And talk about lucking out when people don't show and you get extras. :) Yum! That place looks amazing and the food too! Gorgeous dress! You look great and I love these photos :) glad you had a good trip! Que pinta tiene la comida y el look es precioso. I'm getting hungry! The food looks so yummy. This outfit looks great on you and I love those sunnies! Wow this post is making me crave so many things right now! That ricotta cheese looks so rich and that pizza... YUM! I never tried food tours but I guess I should try! Cupcakes, cheese, bread, pizza... Basically all of my favorite things! Loved this post. 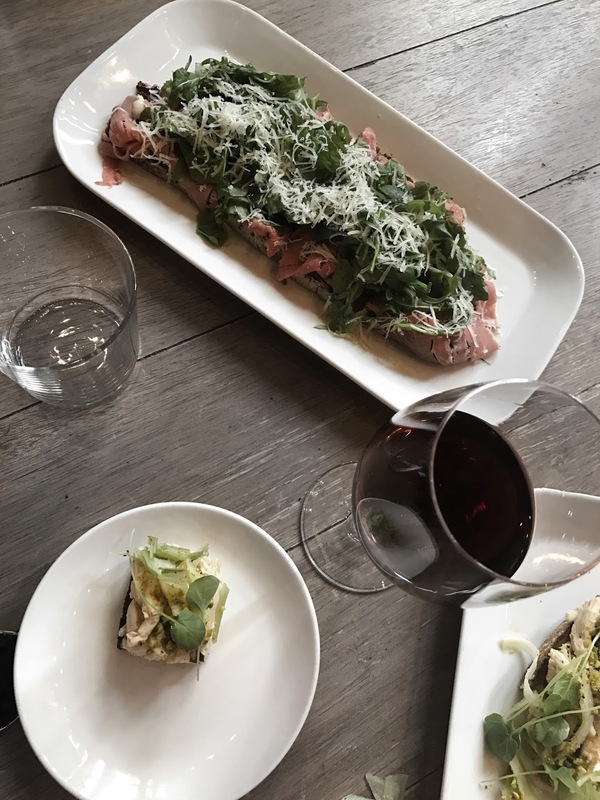 We almost did a food tour in Seattle and now I'm bummed we missed it! It's such a cool thing to do when you're in a new city! Omg all the food looks so good! Especially the pizza, yum! I loooove your dress! And my gosh the food looks so yummy.